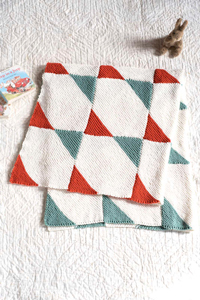 This baby blanket knitting pattern features a fun geometric design in an easy-to-knit construction. 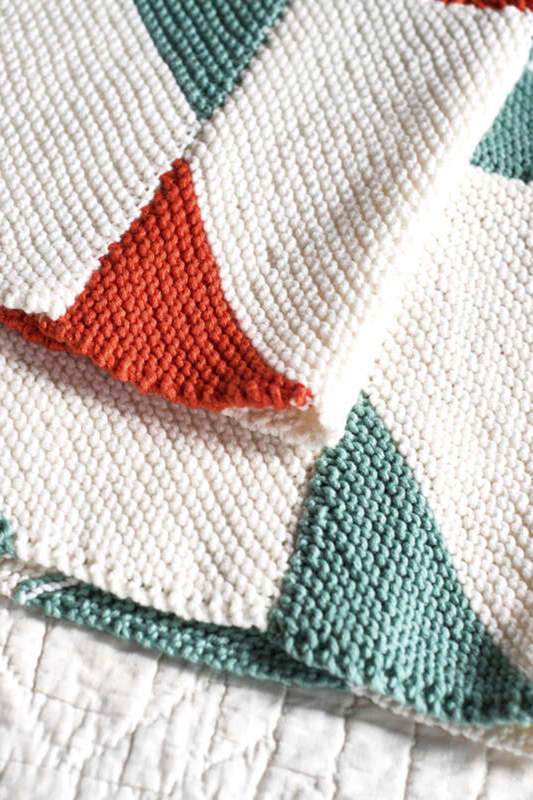 Garter stitch squares begin with one color, change to another then end with a third. 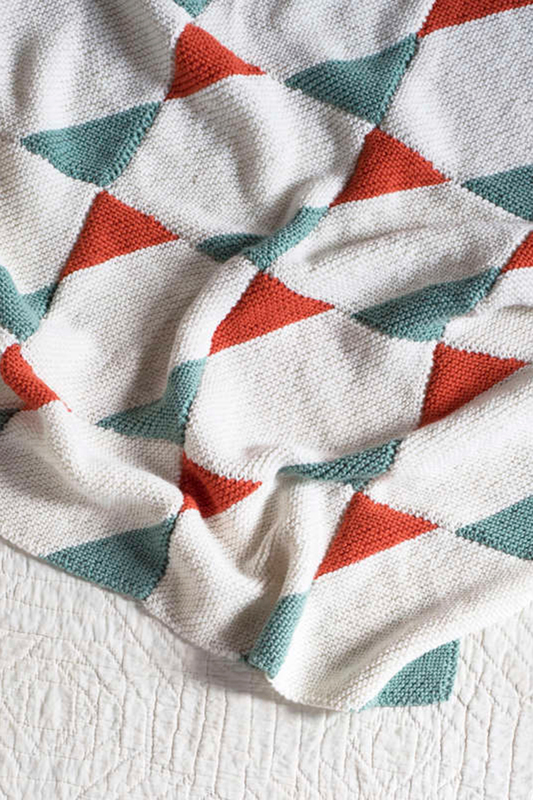 Completed squares are sewn together to create the full blanket. Colors Shown: Berroco Comfort (100 grs): 7 balls #9702 Pearl (MC), and 2 balls each #9709 Jadeite (CC1), and #9799 Marigold (CC2). Finished measurements: Approximately 40" square. Spud & Chloe Small Fries Collection Patterns - Just Right Jacket - PDF DOWNLOAD is a similar pattern: 20 (5 sts. / inch) finished gauge, for babies and children, and worsted (19-20 sts/4 in) yarn gauge. You may also like Berroco - Pima 100 Collection Patterns - Birch Island - PDF DOWNLOAD, which is another similar pattern: 20 (5 sts. / inch) finished gauge, blankets and afghans garment, and worsted (19-20 sts/4 in) yarn gauge. Hopefully our suggested yarn options for Veery - PDF DOWNLOAD can help you come up with your next exciting new project idea!